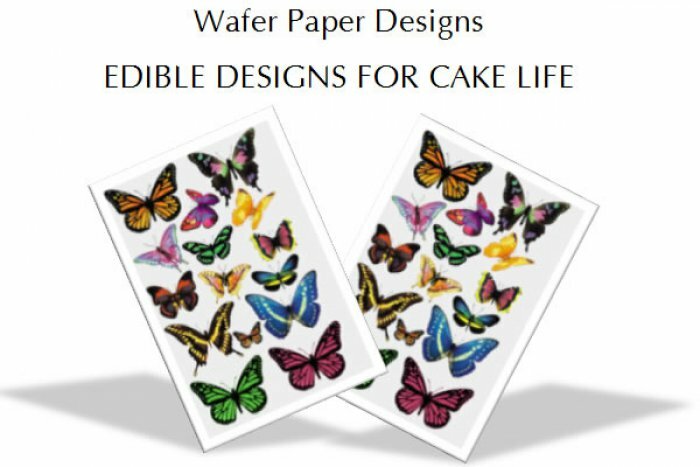 Beautiful butterflies printed on edible wafer paper. This pack includes TWO sheets of the butterflies show. They vary in wing span from 2.5cm to 7.5cm. 30 Butterflies. You cut them out with sharpscissors or a stanley knife. You can either cut their wings out or keep them whole and bend them so they look like they are sitting on your creation. No-one will believe they are edible! They are best attached with clear piping gel or royal icing. Make sure it is not too wet. Wafer paper is made from Potato Starch, vegetable oil and water and has no discernable taste. They are printed on one side only. COOKIE CUTTER - Unicorn Head 4.75"